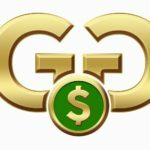 « The 101 Scottsdale Holiday Meeting is Tuesday 12/4/2018! 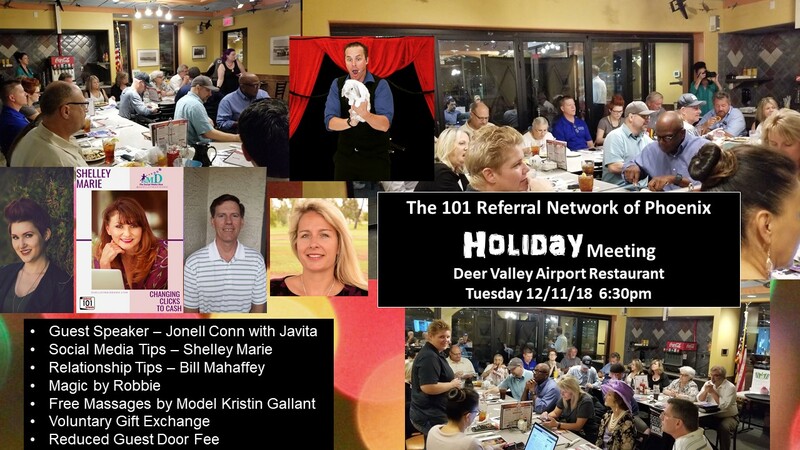 Present your business at our 101 Referral Network of Phoenix Meeting Tuesday 12/11TH at Deer Valley Airport Restaurant from 6:30pm-8:30pm. Social Media Tips by expert Shelley Marie of Shelley Marie SMD – The Social Media Diva. Ever wonder how to strengthen the relationship with someone you just met or met a little while ago. Bill Mahaffey of Send Out Cards will be educating our attendees about how your new acquaintance can become a friend and paying customer. We”re thrilled to have Magician Magic by Robbie. Robbie Cannon is an acclaimed magician in Phoenix, AZ. He’s been performing mind blowing magic for over 25 years and is guaranteed to give you a show to remember. From balloon twisting to a classic illusion filled magic show, Robbie is set to give you performances you will never forget.